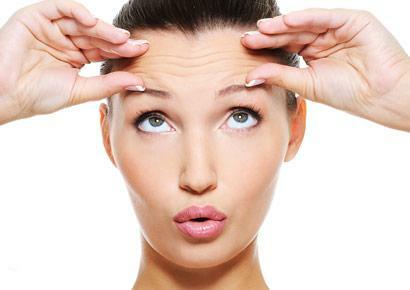 Patients commonly come to us to address wrinkles and creases around their face. Usually, patients are familiar with the results of injectables, such as BOTOX® Cosmetic, however, many think that is the only solution for treating their wrinkles. While facial injectables are highly successful at eliminating fine lines and wrinkles, there are a few more comprehensive treatments that may be more viable options. A facelift is a very common procedure, but the lesser known brow lift is equally, if not more, effective for rejuvenating creases and wrinkles around the eyes and forehead. Commonly known as a “forehead lift,” a brow lift can be utilized to address deep lines and creases across the forehead, wrinkles on the bridge of the nose, and droopy or sagging eyebrows. A brow lift can be performed alone to address these problems or combined with other procedure like eyelid surgery or facial injectables to create a firmer, wrinkle-free appearance. There are two methods to choose from when performing a brow lift procedure. We offer both traditional and endoscopic brow lifts and can tailor your surgery to meet your exact needs, depending on your facial structure and aesthetic goals. Typically, an endoscopic brow lift is preferable when possible because it is the least invasive option. This technique requires only very small incisions along the hairline, through which the muscles, tissue, and skin of your forehead are lifted into an elevated, smoother position. Because the incisions are small and easy to hide, this technique usually allows for minimal recovery time. On the other hand, a traditional brow lift may include incisions around your temples, along your hairline, or around the skin surrounding your eyes. Incisions are hidden in the natural folds of your skin and above your hairline to help ensure natural-looking and pleasing results. For patients interested in a brow lift procedure, we’ll work together to determine the best method for your skin type and facial structure at your free first consultation. Give us a call at (404) 257-9888 to learn more about the brow lift or schedule your appointment today!